This chapter will discuss both migraine as well as some of the secondary headaches encountered during pregnancy and the postpartum period. The most common headache referred for neurologic consultation is migraine. 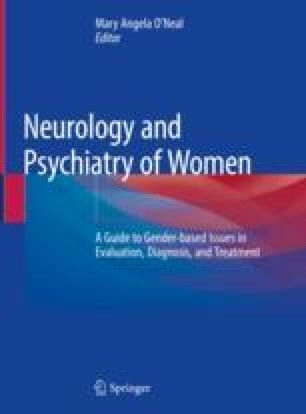 Some of the other secondary headaches seen in pregnancy including idiopathic intracranial hypertension (IIH), headaches associated with pre-eclampsia/eclampsia (PEE), reversible cerebral vasoconstriction syndrome (RCVS), cerebral venous thrombosis (CVT), and postural puncture headaches (PDPH), will also be discussed. The chapter will focus on the epidemiology, common presentations, evaluation and best treatment of these headaches in women during pregnancy and postpartum.